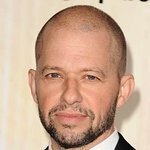 Emmy award-winning actor Jon Cryer (NCIS, Two and a Half Men) will serve as Grand Marshal at Shane's Inspiration 19th Annual Walk & Roll on Sunday morning, September 18, at Griffith Park in Los Angeles, CA. The annual fundraiser sees hundreds of inspirational children, many using wheelchairs or walking aids, and their families, leading teams on a 5k Walk & Roll around Griffith Park to raise awareness and promote the need for inclusive play and social inclusion for children with disabilities. Scott Williams, Shane’s Inspiration Co-founder and Executive Producer of the hit series “NCIS”, will emcee the event. Participants will get a chance to meet Grand Marshal Jon Cryer during the morning’s festivities and receive refreshments, goodie bags, raffle tickets, and time to play on the Shane’s Inspiration playground. Other stars coming out in support of the Walk & Roll include Wallace Langham (“CSI: Crime Scene Investigation”), Madison McLaughlin (“Arrow”), Steve Valentine (“The Walk”, “Crossing Jordan”), Ravi Kapoor (“Crossing Jordan”), and Meera Simhan (“Miss India America”). Registration begins at 6:30am on Sunday, September 18, at the Shane’s Inspiration Playground in Griffith Park, 4800 Crystal Springs Drive, Los Angeles, CA 90027. The 5k/10k Trail Run begins at 7:30am, at 8:30am a stage ceremony for all, and then at 9:00am the 5K Walk & Roll begins. Price: Participation in the Walk & Roll is free – just get sponsors here. Fee for 5k/10k Trail Run is $35/$40 through Active. Trail Run is chip-timed. To register and obtain additional information visit: shanesinspiration.org. 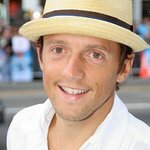 Shane’s Inspiration is dedicated to creating inclusive playgrounds and educational programs that foster a bias free world for children with disabilities. Scott and his wife Catherine Curry-Williams founded the organization in memory of their son Shane, who passed away in infancy from Spinal Muscular Atrophy. Realizing that their son would have spent his life in a wheelchair with a disability that would have prevented him from playing on a playground with other children, the Williams decided to create the first fully inclusive playground in the western United States as a tribute to their son.